Farway is a scattered rural community – the church may take a little finding. Sunday worship alternates between mornings and afternoons; numbers vary from six to fourteen, though special services may attract 30-40. This is a caring, supportive congregation, who appreciate traditional worship. As no organist is normally available, the music is provided via a digital console. (Preachers who can bring their own musician are especially welcome.) 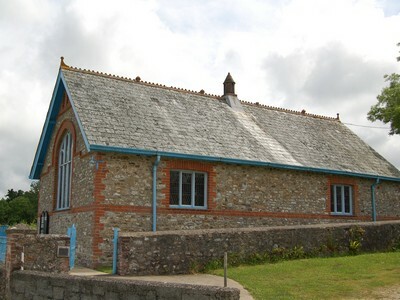 There are active links with Farway and Northleigh parish churches and some shared events. All seek new ways of witness in these rural communities. Note: the church has a chemical toilet. 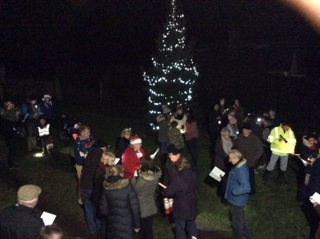 Christmas Eve carol singing raised £227 for Action for Children, Farway villagers collection.